The Sound of Music Therapy! 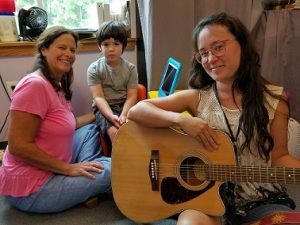 Music is an important tool for children with Autism and can be used to improve attention, communication, social interaction, and group collaboration. We will explore music through a fun, interactive approach where participants will have the opportunity to have hands-on experiences and begin to understand the true “sound” of music therapy. Ideas will be shared for using music in the home. Come ready to discover and enjoy!